FABIA R5 AND UNUSUAL CHALLENGES. Two ŠKODA Motorsport crews, two FABIA R5 rally cars and three unusual challenges. Let’s see how the racers coped with them. First a drag race, then a game of football played with rally cars, and finally a relay race featuring remote-controlled ad real cars. This is how the young Finnish drivers Kalle Rovanperä and Juuso Nordgren, along with their co-drivers, let off steam in their rally cars at the end of the rally season. Take a look at the videos to see how well they did. Driving in a straight line looks easy, doesn’t it? All you need is to floor the accelerator and grip the steering wheel. Are you sure about that? It’s not that easy, of course. And the U-turn in the middle of the race makes it even harder. As for the second challenge, you can see at first glance that it’s going to be tricky. And a little crazy – playing football in a car? For most drivers, it’s impossible, but rally drivers are experienced hands at working precisely with the handbrake and sliding, so much so that they can use their car as a football boot. To let the co-drivers have a bit of fun as well, we put them in control in the last challenge. It’s just the cars were a bit smaller. 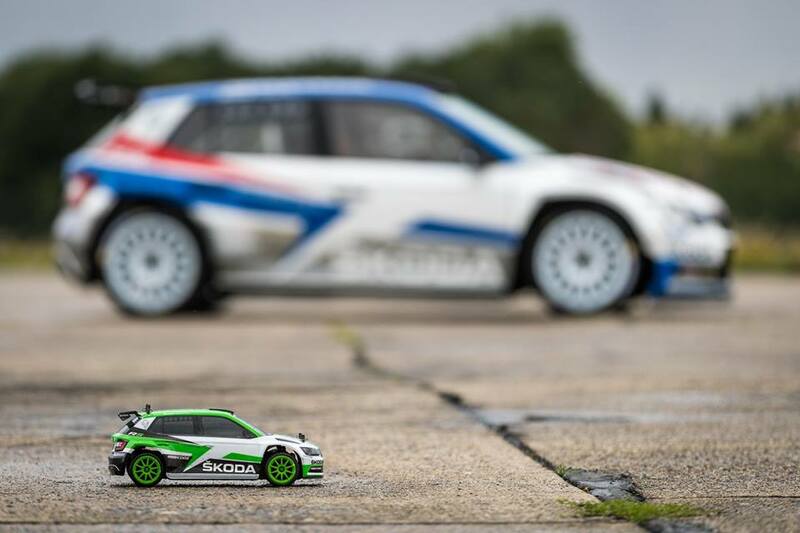 Their task was to take RC models of the ŠKODA FABIA R5 (you’ve met them before in one of our videos where they raced inside the company’s factory) through a coned track as fast as possible. 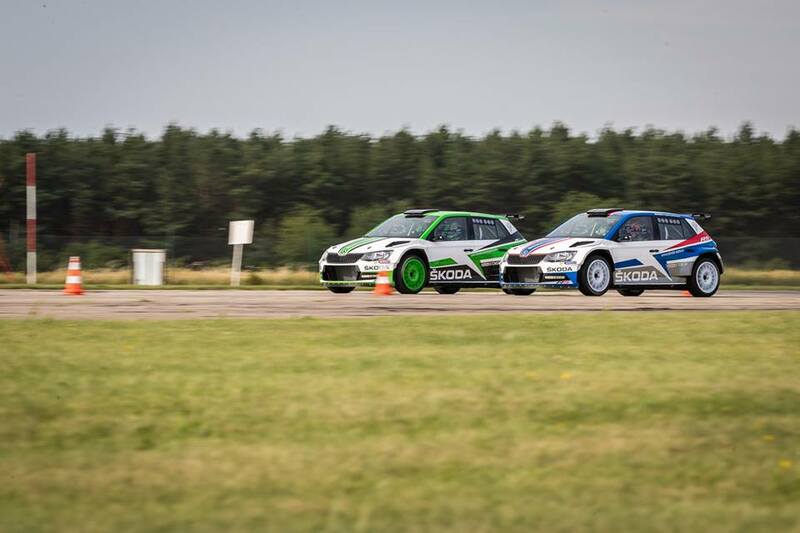 Then when they crossed the finish line, the driver in the real FABIA R5 took over the baton.